Brimming with character, this quaint cottage residence offers practical living, a smart layout and delightful ocean views. This unique Torrens title property is perfect for the savvy investor or those wanting to enter the Thirroul market. Positioned in the heart of Thirroul, there are plenty of amenities and services within moments of this beautiful home. Enjoy the convenience of being within walking distance to the Train Station, Thirroul Public School and shops. 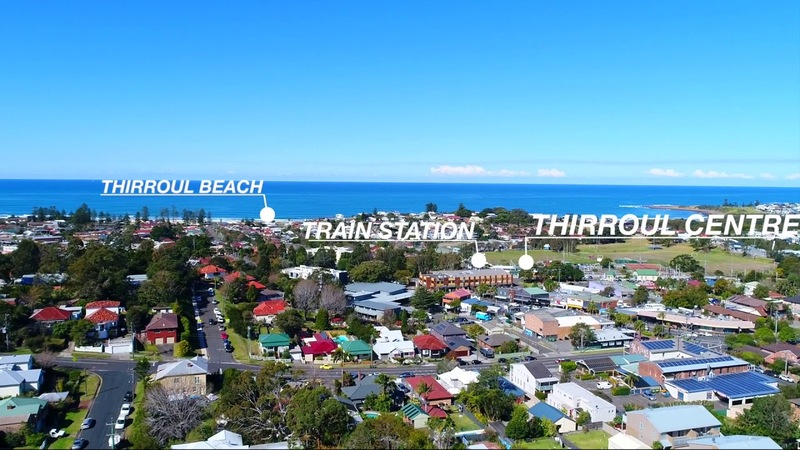 There is always something exciting happening in Thirroul Village and for those who enjoy dining out you are spoilt for choice with restaurants and trendy cafes at your doorstep. Overflowing with character and charm, this well looked after home offers two levels of practical living space. The upper floor consists of two generously sized bedrooms complete with built-in wardrobes and ceiling fans, and are serviced by a family sized bathroom. The sunroom positioned at the front of the home is a versatile space that would make a fantastic study, kids playroom or library. The dining and living rooms flow effortlessly into the well-equipped kitchen showcasing a beautiful view of the coast from your kitchen sink! Stepping onto the spacious back deck, you are greeted with more panoramic views for you to enjoy as well as a cool coastal breeze. On the lower floor, you'll find a laundry, extra storage space and a large rumpus room. The level backyard provides also offers a great space for kids and pets to roam. Throughout this beautiful home, the ornate cottage features have been retained including high ceilings, timber fretwork, decorative cornices, casement windows and polished wooden floorboards. This impeccably well-kept cottage provides comfort and convenience at its best and offers a unique opportunity to enter into the Thirroul housing market. Smart investors can also enjoy a solid return on investment, whilst looking forward to long-term growth in this very popular suburb.